There was a time when authors didn’t have to ‘do publicity’. Anthony Berkeley published his first crime novel anonymously. When he used the name Francis Iles, it was two years before people realised he’d written the books – though actually, that was quite a good publicity gimmick, because there was a lot of debate about Iles’ identity. Agatha Christie was famously shy and I know other authors who hate promoting themselves. But in the modern age, publishers expect authors to do their bit to promote their books. The vast majority of crime writers don’t have massive publicity budgets, so it’s a matter of doing what one can. And this sometimes involves public speaking, something I used to hate. This might seem odd, given that as a lawyer, I’d done plenty of advocacy. But that is rather different. On Saturday I had the pleasure of speaking at the Nottingham Readers' Day, doing a talk I'd never done before - on Golden Age fiction (hence my current flurry of posts on this subject!) I decided not to over-prepare, but simply to focus on conveying my enthusiasm for the topic, and this seemed to go down pretty well. An added bonus was the chance to meet Gordon Griffin at last - he has read many of my audio books, and done it really well. An example of an enjoyable semi-promotional experience. Elizabeth Spann Craig’s marvellous blog often has very helpful tips on promotion, and it repays reading by anyone who is uncertain about this area. For my part, early on, radio interviews used to worry me a good deal. So did my first appearances at Bouchercon. I remember reading an extract from my first novel at Toronto in front of an audience including the great Reginald Hill (who had kindly come to offer moral support) and I can still recall how nervous I felt. To make matters worse, I’m naturally quietly spoken, so it’s easy to become inaudible. But practice does help a lot. I find that I don’t worry about public speaking in the same way now, simply because I have done a good deal of it, and I think I’ve improved my performance from very uncertain beginnings. I’ve also decided that if I can cope with the potential humiliation of appearing on a ‘Mastermind’ panel, maybe I can cope with most public arenas. If public speaking bothers you, I do urge you not to give up on it. Audiences want you to do well, not to fail. If you remember they start out on your side, that is half the battle. Francis Iles’ second book, Before the Fact, is my latest contribution to Patti Abbott’s series of Forgotten Books. In truth, I hope it isn’t a forgotten book, and it certainly should not be, but the reality is that it hasn’t been available in the bookshops in the UK for far too long – my reprint dates from 1991 and may have been the last mainstream edition here. Francis Iles was the name of a notorious smuggler, an ancestor of Anthony Berkeley Cox, who first found fame as the innovative Anthony Berkeley. The first Iles book, Malice Aforethought, was hugely influential. Before the Fact is also much admired, and it is memorable, although flawed. It is the story of Lina Aysgarth, a born victim. She marries the charming Johnnie, but slowly becomes aware that he is a rogue. In time, she realises that he does not scruple at murder. And in the end, she discovers that he means to kill her. This book was filmed by Hitchcock as Suspicion, but the master of suspense bottled out and changed the ending. It is a very bleak story indeed – the flaw, though, is that Lina is maddeningly passive. You end up wanting to scream at her to save herself. Even so, this is a remarkable story by a unique innovator. Where to begin a series? When reading a series of crime novels, is it necessary to begin at the beginning? In the past, it hardly mattered. Poirot and Sherlock Holmes don’t exactly ‘grow’ as characters. Nor, really, do Father Brown or Gideon Fell or Jane Marple. But Lord Peter Wimsey did develop, in the books featuring Harriet Vane, and Dorothy L. Sayers set the trend for treating detectives as people who would change over time, almost (if not quite) in the way that people do in real life. Now, it is common for detectives’ lives to change as the series goes on. In fact, many readers love this aspect of a crime series – I do myself. But it raises the question – should one read the stories in the chronological order in which they were written? And to complicate matters, some authors write ‘prequels’. I have read many crime series, but very few have I read in the order in which they were written. An exception is Ann Cleeves’ books about Jimmy Perez, the Shetland Quartet. And that is a series where, in my opinion (but for reasons I won’t explain – no spoilers here!) it is best to read them in order. Often, though, this is a luxury which a reader does not have. What if the early books are out of print (like my early Harry Devlin books), for instance? As a rule of thumb, I am relaxed about reading a series out of order, and I think most readers should be. But the author’s side of the bargain is that it’s important to bear new readers in mind even when one is writing, say, book six in a series – one needs to sketch in the backstory, but with great economy, so that spoilers are avoided, and long-time readers do not become bored by repetition. In the late 1960s, the Collins Crime Club produced a ‘collected edition’ of books by Freeman Wills Crofts, a leading writer of the Golden Age. When I’d read all the Christies and Sayers I could find, I borrowed from our local library a Crofts book called Sir John Magill’s Last Journey. A good title, but I’m afraid I didn’t get very far with the book. For a boy aged about 13 it was simply too dull. But it’s a book admired by some fans, so I decided to give it another try and bought a copy from the same edition– and this time I battled on to the end! It’s a good example of Crofts’ work, showing both his strengths and his weaknesses. Sir John, a wealthy businessman, disappears and his body is soon found in Northern Ireland. Who killed him? There are several possible suspects, and Inspector Joseph French, pleasant and determined, slowly and methodically seeks out the truth. After a prolonged reconstruction of the crime, there is a dramatic climax at dead of night. Crofts is good on painstaking plotting – Raymond Chandler, no less, admired his work. He is usually much less careless with details than many of his contemporaries, although the trouble with French is that he specialised in breaking down alibis (‘Of alibis French was usually sceptical’, Crofts says in his ponderous way.) So anyone with a great alibi is our prime suspect. Crofts also uses many interesting geographical settings, and some of these, in Northern Ireland, Cumberland and Scotland, are quite well described in this book. I was interested by this sentence about Northern Ireland, written in 1930: ‘The “troubles” were definitely over and had been for years.’ Sadly, not very prescient. Paul Beech, commenting on the publication of Original Sins, suggested that I write a blog post about the art of putting together an anthology. It is an art, not a science, that is for sure. I know of no guidelines, though I’ve invented a few for myself over the years. I’ve decided to do a two-part post, starting with a brief account of my own work as an anthologist. I got started after suggesting to fellow members of the CWA’s Northern Chapter that we put together a book of our stories. They were enthusiastic – provided I found a publisher and did the putting together. I remember a planning meeting at the Whitley Bay home of Ann and Tim Cleeves, with Robert Barnard, Val McDermid and Chaz Brenchley, as we kicked around ideas. The result was Northern Blood, a book that was very well received, and I was proud to be associated with it. Over the years, two more Northern Blood books followed, and I was even asked to help the East Anglian Chapter with a book. In the mid 90s, the CWA committee asked me to take over editorship of the national anthology. 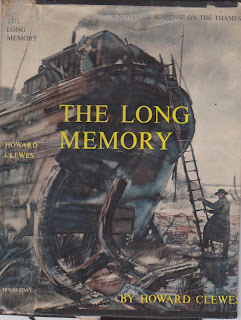 My predecessors since the 1950s had been distinguished, but invariably encountered the problem that publishers tend to be less than enthusiastic about anthologies from a commercial perspective. I found a publisher – Severn House, with whom I’ve just become reunited – and Perfectly Criminal was the first of three books they produced. We’ve been involved with several publishers over the years, but the aim is always the same – to produce a great book that showcases the talents of CWA members, famous and not so famous alike. More soon on how I go about the editorial task. A striking number of readers of this blog were as intrigued as I confess I am. by the fact that Anthony Berkeley married his agent’s ex-wife. This may actually be a unique event in the history of British literature! Berkeley does fascinate me, for many reasons. He was a very clever writer, and also an intriguing man. Malcolm Turnbull wrote a good biography, Elusion Aforethought, which is well worthe seeking out. 1930 – Berkeley dedicates The Second Shot to his agent. 1931 – Berkeley dedicates Malice Aforethought to his first wife – and proceeds to divorce her. 1932 – Berkeley marries his agent’s former wife, and dedicates Before the Fact to her. 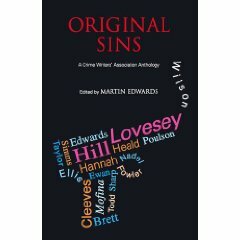 Today sees the official publication by Severn House of my latest anthology for the CWA, Original Sins. I'm pleased with the book, and I think it offers a really good mix of stories and authors, with characters from no fewer than five well-loved series making an appearance. I'm extremely grateful for the contributions of a terrific line-up of writers. A word of thanks, too, for the publishers, who have done a very good job of work. Reginald Hill – Where Are All the Naughty People? By the way, tomorrow, in the hope it will entertain/amuse you, I'll post a bit more information about Anthony Berkeley's complicated life. Right from the start, you know that McIlvanney really can write. The first paragraph begins’Running was a strange thing’, and at once we are with the viewpoint character, as his feet are ‘slapping the pavement’. Running, we are told, ‘was a dangerous thing. It was a billboard advertising panic; a neon sign spelling guilt.’ I think the style is arresting, and although it was a very modern-seeming book in its day, it hasn’t dated too badly. The obvious adjective is ‘gritty’, but however you describe it, it’s a powerful read. The eponymous Laidlaw is an unconventional Glaswegian cop, who does not know which side he is really on. A girl’s body is found, and the question is whether Laidlaw’s methods will help him to the truth, or whether a more orthodox will prevail. Can you guess the answer? This was McIlvanney’s crime debut, after three earlier novels. The dust jacket announces it as ‘the first of a series of police thrillers’, but as far as I know, McIlvanney only wrote one more crime novel, The Papers of Tony Veitch, which I also liked, but perhaps not as much as Laidlaw. Maybe he didn’t have the energy or the interest to sustain a crime-writing career over a period of time – something which requires stickability as well as talent. But this book is a good one. 'Philip Davidson has served seventeen years in prison for a murder he did not commit. Released on parole, he hunts down the two people who lied and condemned him. So far, so standard fare. But Howard Clewes wrote a crime masterpiece with this book, still fresh and exciting when read 59 years on. Little wonder it was compared to early Graham Greene when first reviewed. There is a complication to what starts as a tale of revenge. One of the perjurors is married to a policeman who investigated the case. He has always had his suspicions.....and he is also the narrator of the book. Inspector Lowther is not a hero nor is he an admirable man. He had his suspicions at the time of the murder, but quashed them; because he fell in love with Fay - Davidson's girlfriend - when investigating the case, and love made him blind. But now Davidson is out seeking revenge, and the marriage has faded into inertia. Lowther fears for his wife, and his conscience is needling him about the miscarriage of justice, even though he had tampered with evidence to put Fay in a good light, and his career will be destroyed if this comes to light. The book is psychologically rich and complex, dealing with love, marriage, injustice, people smuggling, displaced persons, poverty, social and industrial decay. The characters are strong, from the over conscientious reporter on the case to the harrassed wives. Even the dead man who turns out not to be dead at all. And the setting - the Thames estuary - has it's own grim identity. Coming to the book from the film (increasingly being accalimed as a great British film noir) it is remarkable how faithful one is the the other - sometimes you have to check to make sure the book was indeed written first, for action and descriptions replicate wholesale, as if the author is directing and even casting the film. The only odd man out is John Mills as Davidson. Davidson is written as a hulk of a man, not the physically slight Mills (whose confidence building participation was part of a brave rush of films seen at the time as mere quota quickies to keep the British film industry alive.) But his characterisation is true and strong. Story changes for the film strengthen and simplify some themes and accomodate the narrator's inner musings without detracting from the book. I've not yet read the book, but I certainly endorse Liz's views about the film. Thanks, Liz! Blacklands, by Belinda Bauer, won the CWA Gold Dagger this year. A notable achievement at any time, but all the more so when you discover that this is her first novel. I’ve just read the paperback edition, and reviewed it for Tangled Web UK. Blacklands is a book about the strange relationship between a serial killer and the young nephew of one of his victims. Most of the action is seen from the point of view of Steven Lamb, who is one of the most memorable, and likeable, characters I’ve come across in the genre lately. And we are also taken into the twisted mind of the killer, Arnold Avery. I liked the fact that, for the most part, Bauer opted for subtlety of treatment of her material, and avoided graphic violence. I’ve read plenty of graphic serial killer novels, and some of them are very good. But this book, in my opinion, is better, and certainly more original. I haven’t read as gripping a book about serial murder in years. Why is this novel so successful? The answer lies in the quality of Bauer’s writing, as well as in her story-telling gift and ability to create believable people and evoke setting (several key scenes are set, very effectively, on Exmoor.) I might quibble about a few aspects of the story, but the quibbles are insignificant in comparison to the overall achievement. There is a short but valuable afterword in which Bauer explains how she came to write the book – because she was interested in how it might be to belong to a family affected by murder. Until now, Kate Atkinson’s hugely enjoyable new book was my favourite read of 2010. But Blacklands made an even greater impression on me. The only question is whether this very talented writer can maintain such a standard in future. I very much hope so. Anthony Berkeley’s name has cropped up several times in my contributions to Patti Abbott’s series of Forgotten Books, sometimes in relation to the work of his alter ego, Francis Iles. My choice today is the book he wrote immediately before Iles launched his distinctive career – The Second Shot, which was published in 1930. Historians of the genre have often drawn attention to Berkeley’s preface, addressed to his literary agent. This is where he set out his manifesto for the future of crime fiction, emphasising his belief that the story based purely on puzzle was ‘in the hands of the auditors’, and that the future lay in exploring the psychology of his characters. The thinking was ahead of its time, yet disappointment has often been expressed in the fact that The Second Shot was not truly ground-breaking. Julian Symons, for instance, rather dismissed it. True, it is really a tricksy whodunit, and the psychological forays are relatively shallow. And the setting, in an English country house (there is a map of the scene on the endpapers) is very much in the classic tradition. Yet it is a clever piece of work, with Roger Sheringham proving even more fallible than ever in his role of interfering amateur sleuth. You can see that Berkeley was groping towards a different kind of story-telling, and in the following year, with Malice Aforethought, as by Iles, he made a real breakthrough. But The Second Shot is still worth a look. Nigel Kneale was an interesting writer, born in Barrow of Manx origins, who earned lasting fame by creating Bernard Quatermass (the surname is Manx) for a six part BBC serial, The Quatermass Experiment. Its success led to various sequels, as well as this film version from the Hammer Studios. I saw a modern re-make of this story on BBC 4 a few years ago and wasn’t impressed, but at last I’ve caught up with the original, and I did like it, even though the characters behave in a barmy way after a rocket designed by Quatermass crash lands on a farm. Only one of the three astronauts, Caroon, is found on board. And he is sick – very sick. Almost inevitably, it turns out that Caroon has been taken over by an alien life form – a sort of slimy gel with hunger pangs – that threatens mankind as we know it. The police hunt is led by amiable Jack Warner, better known to us as P.C. Dixon, of Dock Green fame. Quatermass is wildly miscast, played by the American Brian Donlevy, whose relentless rudeness and intransigence make it a wonder he was ever allowed near a rocket. The support cast includes the ever-reliable Thora Hird and Sam Kyd, while Caroon is played by William Wordsworth’s great great great grandson Richard. I was tempted to say the film was terribly dated, until I realised it was made in the year of my birth – not that long ago, then! But despite the creakiness of the story, I enjoyed it, because the tension is built up really well by director Val Guest. It’s not too much to say that it verges on being a masterclass in the art of creating suspense. It may be sci-fi, but it has the virtues of a good thriller. And that is why it deserves its classic status. I’ve also just seen Annis in an episode from Partners in Crime, playing Tuppence Beresford in Agatha Christie’s story The Crackler. This programme dates back to 1982, but again she is the outstanding performer, lifting relatively mundane material to a higher level by the sheer exuberance of her acting. In The Crackler, Christie parodied the work of Edgar Wallace. The Beresfords are asked by Scotland Yard to help to uncover the truth behind a forgery scam, and they infiltrate the high class, yet murky, Python Club to do so. Tommy is vamped by a Frenchwoman, played by Carolle Rousseau. Rousseau, like Annis, is extremely attractive, but an internet search suggests she did not do much acting after this show. Whereas Annis has gone from strength to strength, not least in The Little House. I hope that excellent roles for characters of her age continue to be written – they should be. Incidentally, many years ago, my own mother-in-law (who died very young and whom, sadly, I never met) taught Annis for a while. Apparently, her brilliance was evident even at a tender age. As The Little House shows, she continues to be brilliant. When is a book finished? Does this seem like a silly question? It certainly vexes me, and I suspect it vexes some other authors too. A case in point. I’ve just finished work on The Hanging Wood, the fifth Lake District Mystery – hurrah! It is in good enough shape for it to be sent to my agent for assessment. (She earlier looked at a portion of the first draft.) But within an hour of my sending it to her, another idea occurred to me. A small point which I felt would improve the book. My ideal, I guess, would in theory be to have enough time to put a manuscript away for a few weeks, look at it again with fresh eyes, then put it away again, revise again, and so on, perhaps half a dozen times. But this is not possible. Deadlines keep looming, other projects crop up. Making any artistic work does involve some element of selection, and sooner or later every creative artist, however humble their efforts, has to say to himself or herself that it’s time to let go. Not easy, though! I’ve mentioned before my enthusiasm for the work of Henry Wade, and his Heir Presumptive, first published in 1935, which I’ve only just caught up with, is my choice today for Patti Abbott’s series of Forgotten Books. I’d sum it up as ‘Francis Iles meets Kind Hearts and Coronets’, and if you’re a regular reader of this blog, you’ll know that this is meant to be high praise! Henry Wade provides a family tree of the Hendels, which repays careful study. The account of Eustace’s attempts to secure the title and a fortune is very entertaining, and the action moves at a fast pace. There is a double twist at the end, and despite one or two implausibilities, the book is a light and lively read from start to finish. Wade kept trying out different types of story – this may account for his relative lack of fame, but it also helps to make him a quite fascinating writer, arguably the most versatile of all the Golden Agers. Most of his work is darker in tone than Heir Presumptive, but I found the change in mood pleasing and achieved with real flair. This is a breezy book that I’d strongly recommend to fans of older mysteries. Stuart Pawson is a friend of mine and a Murder Squad colleague who shares a publisher with me, so I cannot claim that I’m entirely unbiased, but I must say that I was very pleased to receive from Allison & Busby a copy of his latest book, A Very Private Murder, and equally delighted to read it. Stuart is one of those relatively unusual novelists who has focused throughout his career on a single detective character. He’s tried a few non-series short stories, but all the novels feature D.I. Charlie Priest, a very likeable fellow indeed. I well remember Stuart once reading a very funny, and rather rude, scene from an earlier book when we did a Squad event at Knutsford, and the respectable Cheshire ladies in the audience absolutely loved it. This time, Charlie finds himself investigating the death of the mayor of Heckley. The story is full of Stuart’s trademark dry humour, whether he muses on nasal hair razors or Friday night in a small town. And I love the idea of domino players in a pub being compared to the chess players in The Seventh Seal. The book is packed with great lines. The first person narrative technique works very well for Charlie, and there is so much pleasure to be derived from the Yorkshire ambience (I speak as the son of a Yorkshire woman, who was firmly of the view that there was no better place in the world) that the plots sometimes seem of secondary importance. But Stuart Pawson always tells a good story, and tells it well. The photo, by the way, shows Stuart and me in Nevada a few years ago and was taken by Stuart's wife Doreen. 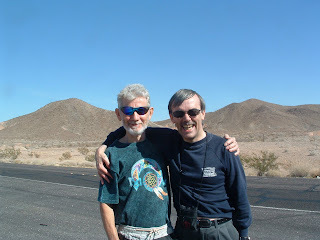 Nothing to do with his book, admittedly, but a reminder to me of a fun trip with two great companions. The Little House, which started on ITV this evening, is based on a Phillipa Gregory novel that I wasn’t aware of, but which appears to date back to the late 90s. I was drawn to watch it by a cast that includes Francesca Annis and Tim Pigott-Smith, and wasn’t I glad I did. It’s a psychological suspense story, involving a young married couple and the husband’s charming but perhaps oppressive parents, played by Annis and Pigott-Smith. The wife, played by Lucy Griffiths, is a teacher, who is trying to understand a mystery from her own past. When she falls pregnant, she is persuaded – against her will – to keep the baby and put on hold plans to research her past. Her husband also persuades her to accept an offer of a lovely home. This is the eponymous little house; the setting is wonderful, but the snag is that it’s right next door to her in-laws. Once the baby is born, he appears more at ease with his grandma than his mother, and by the end of the episode it was plain that Annis, having packed her daughter-in-law off to a clinic, would be quite happy to be rid of her on a permanent basis. Annis is always excellent, I think, and here she shows a menacing side beneath the surface charm. A good story - and good enough to warrant a blog post I hadn’t planned to write! Thorne: Scaredycat carried on where Thorne: Sleepyhead left off, with the irst episode of another unrelentingly bleak story. It began with Phil Hendricks (Aidan Gillen, edgy as usual) consoling Thorne over the death of his mother, and that was about as cheery as it got. We witness a shocking attack on a young woman who returns home with her young son after a trip on a train. An intruder bursts into the house and beats the woman to death. But the boy is left alive – why? On the same day, another killing occurs – this time, the victim is a prostitute. Thorne quickly comes to the conclusion that the murders are connected, and soon the theory is refined. Two serial killers are operating in tandem. On her splendid It’s a Crime blog, Rhian has expressed the view that serial killer stories have pretty much passed their sell-by date. I agree that gory serial murder stories can be repetitive and formulaic, and there is sometimes a depressing tendency to go for the shock factor above all. But like Rhian, I believe there are notable exceptions. Mark Billingham’s books are at a level above much of the competition, and this television series, dark as it is, is striking, with David Morrissey excellent as Tom Thorne.